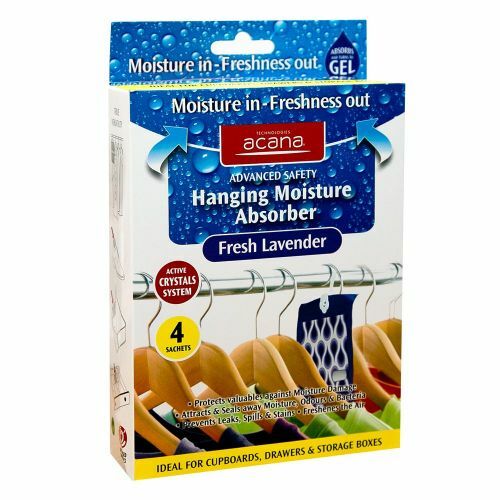 A New Acana Hanging Moisture Absorber with 4 Spill-Proof Sachets. 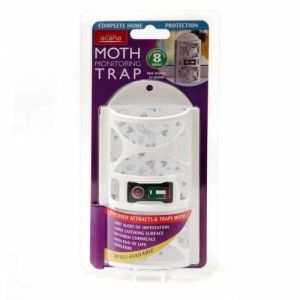 Can also be used in Drawers and Storage Units. 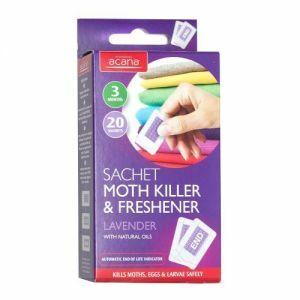 THe Acana Hanging Moisture Absorber and Freshener uses innovative Sachets that have been specially created using the latest technology to remove safely and effectively lock-away excess moistute and associated unwanted odours from homes, offices, cars and boats. 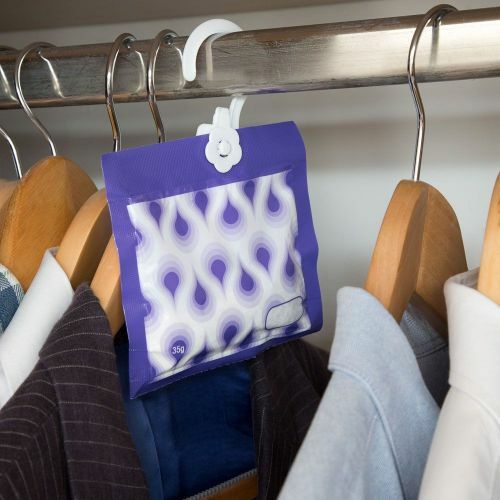 Each sachet contains active crystals that attract moisture through its "one-way" filter and then turns it into a safe gel-removing and locking away unwanted moisture and its associated odours. 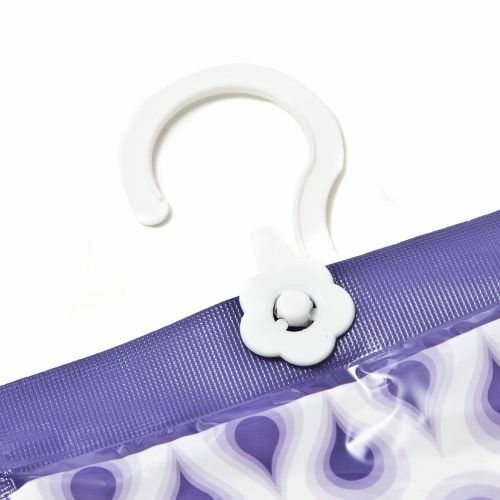 At the same time each sachet de-odorises and freshens continuously with a " Fresh Lavender " fragrance. 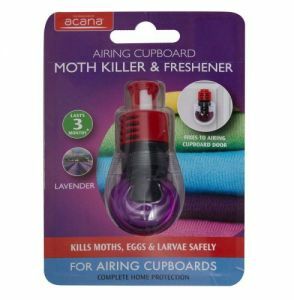 Also helps protect clothes, fabrics, leather, stores, electronics and more from moisture and mildew. 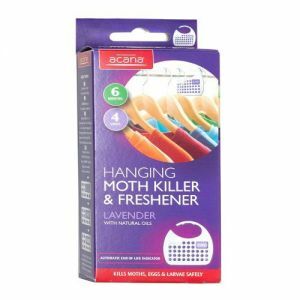 Ideal to hang in wardrobes, closets, cupboards etc. 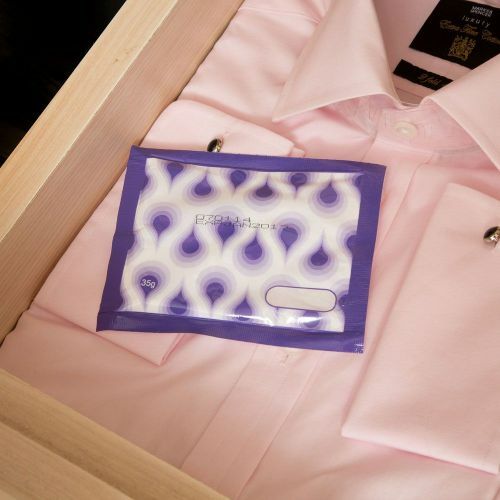 Replace the sachets when they are swollen and the crystals all turn to gel. 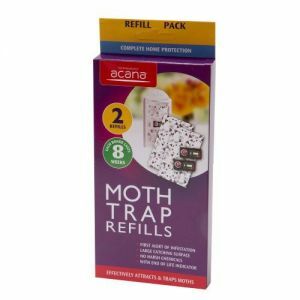 See " Re-New" indicator window on each sachet. 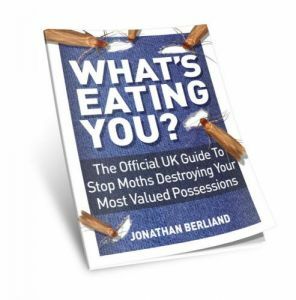 Caraselle Moth Book - What's Eating You?